I slowly roll over and look at the clock. 7 am. Time to get up and start the day. Grab the baby. Stumble to the toddler’s room. Open the door. Really? It’s a blizzard outside and my two year old wants to go out and play. That is NOT going to happen. What am I going to do to get his abundance of energy out? Better think quick or an epic meltdown is going to happen. HELP! 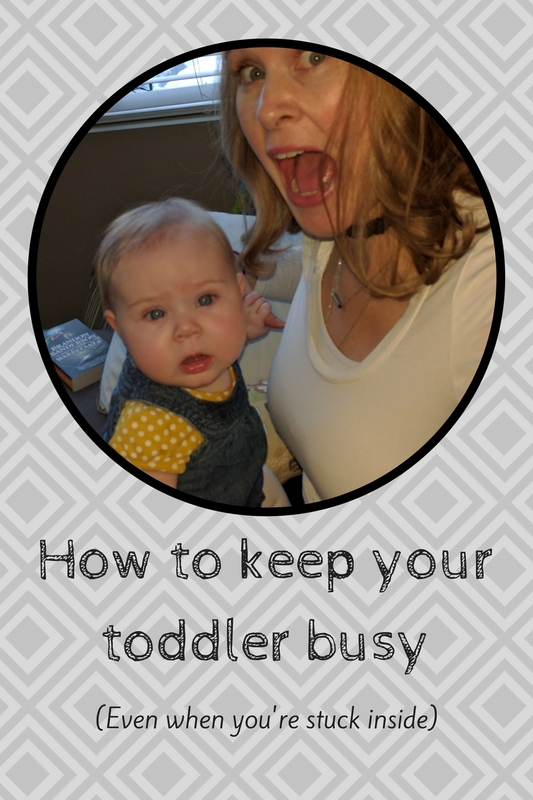 When I was teaching preschool, I could come up with a handful of quick activities within seconds. I was a pro at finding ways to keep those munchkins occupied no matter what the situation was. But since becoming a mom, I feel like I have lost that skill. After several mornings of pure chaos I realized I really needed to channel my inner preschool teacher. I knew the solution to my predicament would be found by thinking like how I used to. While the kids napped, I scoured my old teaching books and lesson plans. Finally, I found the the gold. This was an activity that I did frequently with my preschoolers. Waiting in line, in between activities, or waiting for parents to get there. Whenever there was a few random minutes that there was nothing to do, I would whip out these cards. Every time I did this it kept the kids occupied and moving. Seriously, these cards were a game changer as a teacher. I carried them around with me at all times. Why didn’t I think of this before? I got onto Amazon to look for some cheap cards I could order. I found some great options but they were a little pricier then I could afford and I needed them now. That night after I put the kids to bed, I got to work. I grabbed some paper, scissors, and a marker. Sat down on the couch with some snacks and of course turned on ‘The Bachelor’. Total guilty pleasure but after watching ‘Octonauts’ and ‘Bob the Builder’ I need to watch some mommy shows. After cutting 4 sheets of paper into fourths, I drew on various actions. 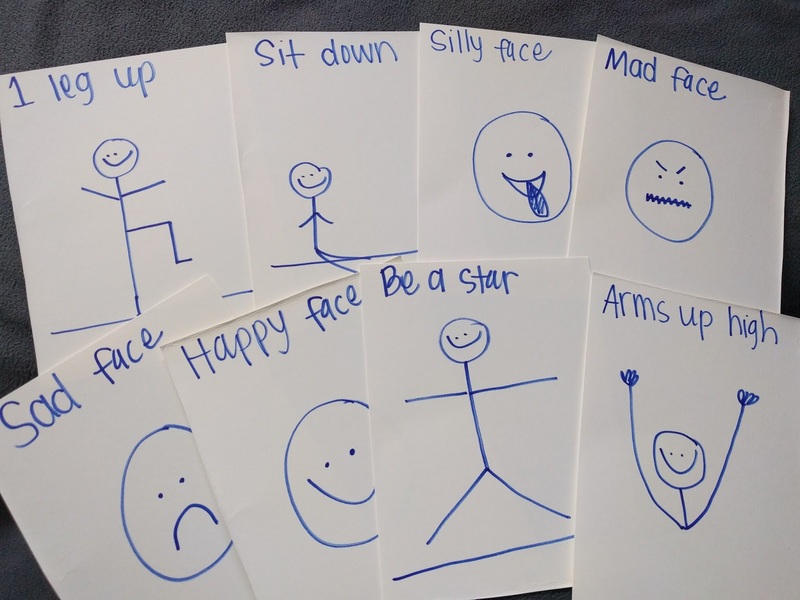 The cards I made were: jump, touch toes, hands on head, wiggle, touch knees, touch shoulders, turn in circle, clap hands, arms in the air, make a star, happy face, sad face, mad face, silly face, sit down, 1 leg up. Let me tell you, these cards are NOT pretty. When my husband saw me drawing them he laughed. I am no artist. But you know what? The next morning when we did the cards together, he thought it was the greatest! And it was really fun! I would hold up a card and we both would try to copy the picture. It didn’t matter that I have the drawing ability of an elephant. It didn’t matter that they were homemade. What my rambunctious toddler loved was being silly with his momma. These cards were really so simple to make, they were free, and the best part? They are keeping my munchkin entertained and moving. 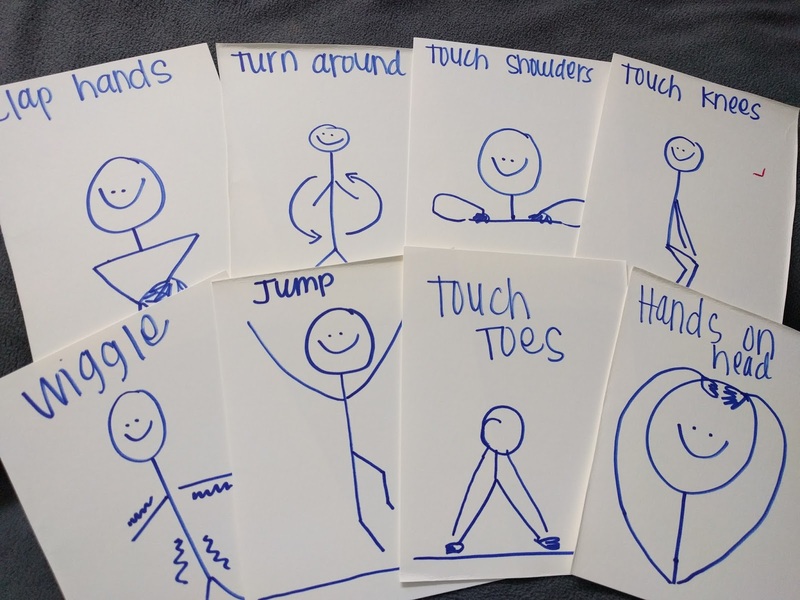 Now whenever the weather is bad and we can’t go outside, I whip out these cards and we start moving our bodies. 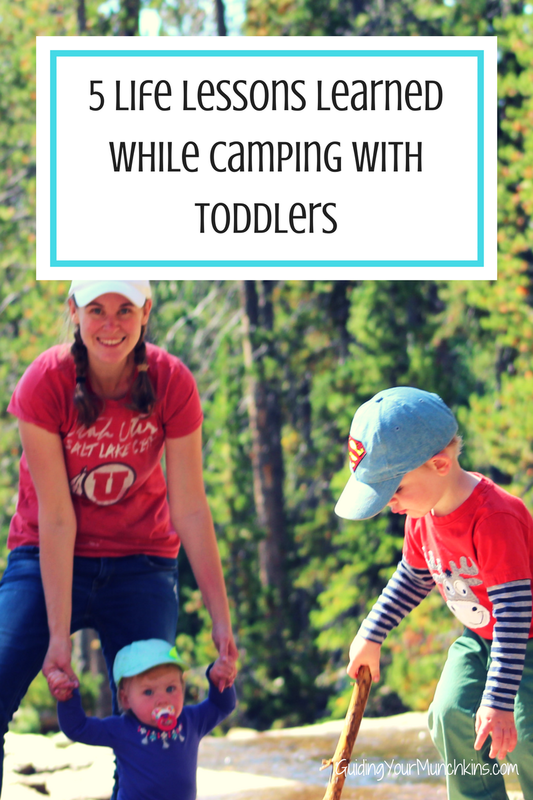 As an added bonus, my toddler is learning how to move and control his body, follow directions, and we are having fun together. Make a set of these cards for your munchkin. Need some more ideas on how to get your munchkins moving? Check out this post and follow my ‘Get Moving’ Pinterest board.